To celebrate the wonderful #UKYAEXTRAVAGANZA which is being held at Waterstones Birmingham on the 28th February 2015 there is a great big blog tour celebrating the 35 super-duper authors that are attending the event! As I am lucky enough to be attending this fab event full of so much diversity I have been asked by the organisers Emma Pass and Kerry Drewery to write up the event itself which I am really excited about. Look out for this on the 02/03/2015 *gulps*! Want to know how Emma Pass and Kerry Drewery organised the event – check out this blog post at wordsandpics.org (@words8pictures) here! 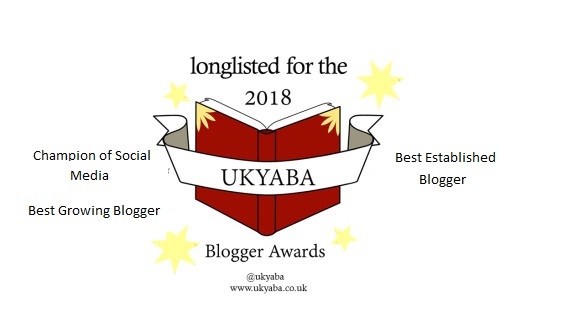 In the meantime I thought I would share a bit about each author with links to their twitter and websites and links to their #UKYAEXTRAVAGANZA blog tour posts that are being hosted by 35 fab bloggers! I have worked as a journalist since I was 18 when I got a job as a messenger girl for a national newspaper. I’ve been a reporter, a political correspondent, a news editor, a comment editor, feature writer and in Amsterdam I was editor in chief for a photographic agency. I worked for The Independent for many years, and have also written for many other national newspapers and magazines. I grew up in Welwyn Garden City and have lived in London, Glasgow and Amsterdam. In 2007 my family moved back to London after eight years in the Netherlands and I decided to try to write a book. 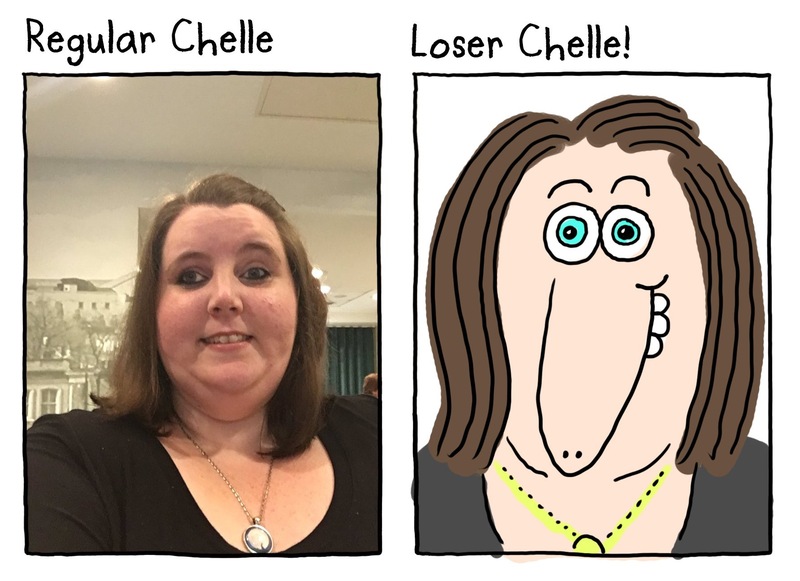 Now I do a bit of journalism, but I mainly write books, visit schools and I’m adapting one book, Lia’s Guide to Winning the Lottery into a musical. My latest book is Salvage, about siblings Aidan and Cass who were parted as young children, and I’m working on a new book set in Amsterdam. 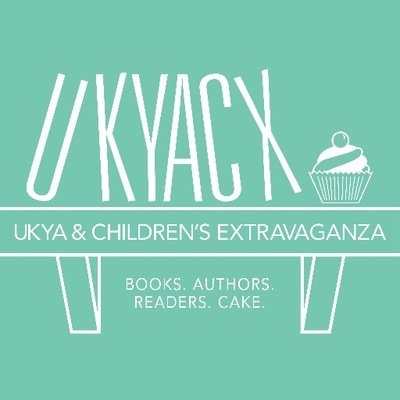 Check out Keren’s #UKYAEXTRAVAGANZA post where Keren talks about the event and how it came to be featured on QueenofContemporary run by @lucythereader – HERE! 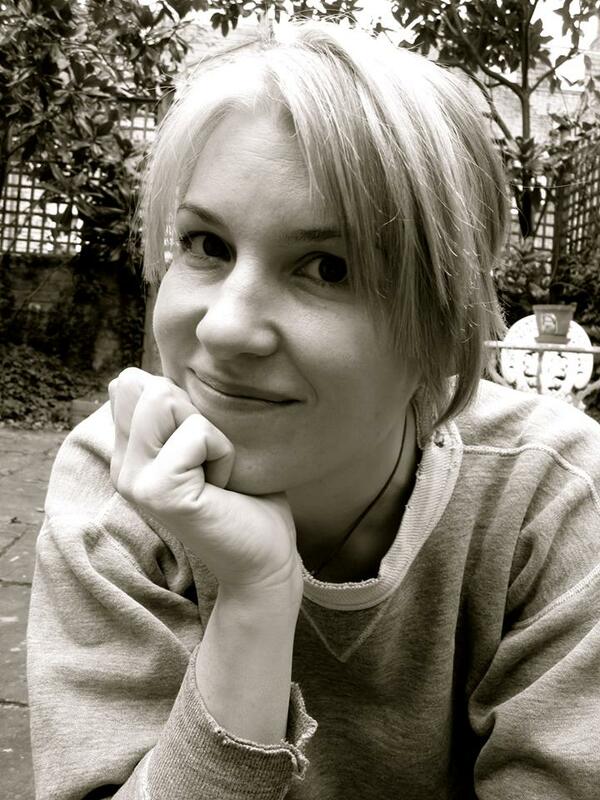 Anna McKerrow works on creative writing projects for the reading charity Booktrust, which is where she became interested in Young Adult fiction. She has also published four volumes of poetry and teaches creative writing in adult education. 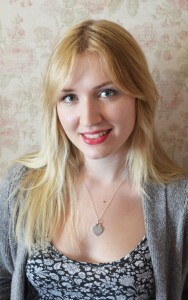 Anna is interested in all things magical and is a Reiki healer. Check out Anna’s #UKYAEXTRAVAGANZA post featured on The Reading Fan Girl run by @sofiaSTRF where we get to read a fab Q&A – HERE! 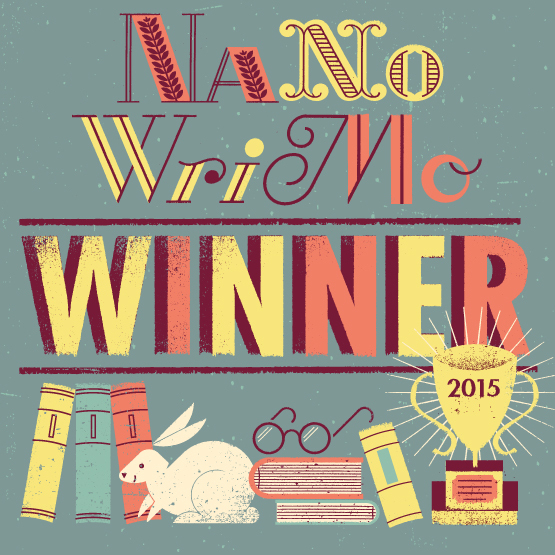 I’m an award-winning author of fiction for teens based in the North East Midlands, UK. I’m represented by Carolyn Whitaker at London Independent Books and my first novel, ACID, a dystopian thriller, is out now in the UK from Corgi/Random House Children’s Books, in Spain from Random House Mondadori (titled La Huida) and in the US from Delacorte. My second novel, The Fearless, is out now in the UK, and will be published in spring 2015 in the US. 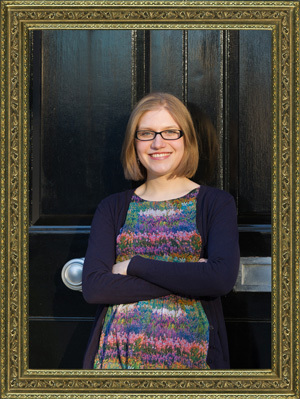 Check out Emma’s #UKYAEXTRAVAGANZA post featured on perksofbeingabooknerd.com run by @kat_thebooknerd where we get to read a fab Q&A – HERE! Her many careers have included guiding tourists, professional nappy-changing, teaching small people how many beans make five and taller people how to interrogate the beans from a post-structuralist perspective – but she always wanted to be a writer. Her first book, Whump! in which Bill falls 632 miles down a manhole, won the BBC Talent Children’s fiction prize, and was published in 2004. 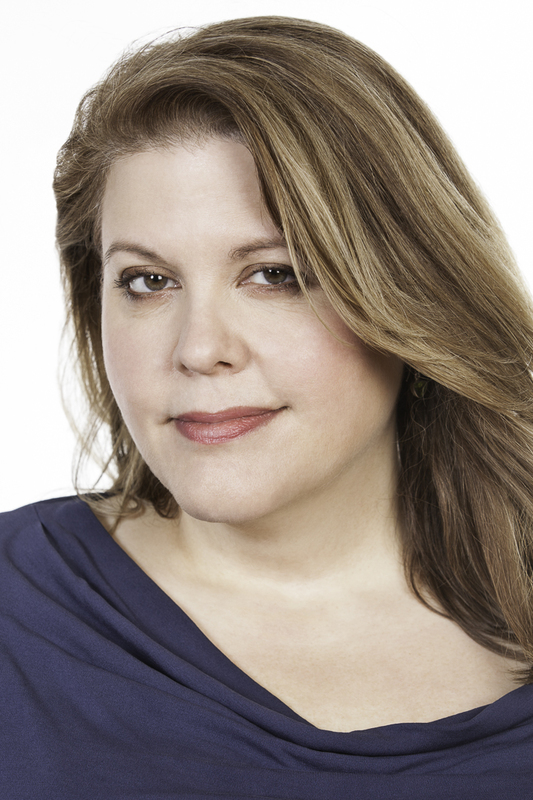 She now writes contemporary standalone teen/YA fiction, and the Pea’s Book series for 8-12s. Susie lives in Oxford, England in an international boarding school, sharing her home with 11 teenage boys. Yes, it does smell of feet. Check out Susie’s #UKYAEXTRAVAGANZA post featured on abookandtea.wordpress.com run by @abookandtea where we get to read why Susie wants more shorts (ohhhhh errrrr!) and more about her new short story and others in Love Hurts which was published on 29th January 2015 – HERE! 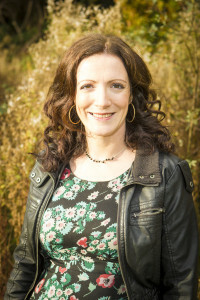 Check out Kerry’s #UKYAEXTRAVAGANZA post featured on jaffareadstoo.blogspot.com run by @jaffareadstoo where we get to read a fab Q&A with Kerry talking about her books and more – HERE! I’ve always loved to write stories. When I was a child I used to come up with serials that were full of plucky heroines and dastardly baddies. Often I’d get a bit carried away with my story and then realise I’d written myself into an impossible corner. I’d have no idea how to get my plucky heroine out of her dire situation. Obviously, now I am A Proper Author, I never get stuck and I always know what to write next. I was a journalist for many years before starting to write children’s fiction, mainly covering stories about science and health. But making things up is much, much more enjoyable than writing about real things. My first book, Dark Ride, was published in May 2011 by Piccadilly Press. My next book, Cracks, came out in May 2012. 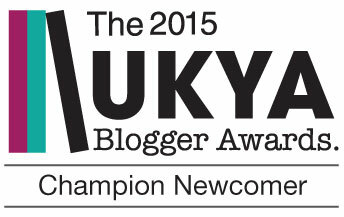 This was followed by Hold Your Breath in 2013 and my latest book, the sequel to Cracks, is called Fragments. 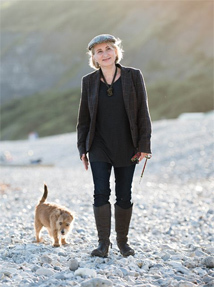 When I’m not writing I like to read [and read…and read] hang out with my lovely husband and two brilliant sons, and walk our daft chocolate labrador, Monty. Check out Caroline’s #UKYAEXTRAVAGANZA post featured on bookaholicconfessions.wordpress.com run by @bookaholicholly where we get to read a fab Q&A with Caroline – HERE! My debut novel, Angel’s Fury, was published by Egmont in 2011. It won the Leeds Book Award in May 2012 and the Cheshire Schools Book Award in June 2013. My second novel, The Weight of Souls, was published by Strange Chemistry in August 2013. My third novel, Phoenix Rising, comes out Easter 2015 with Stripes, this will be followed by Windrunner’s Daughter in November 2015 with Xist and Eye of the Storm, the sequel to Phoenix Rising, in 2016. Bryony has a full timeline page about here on her website – check out her website here. 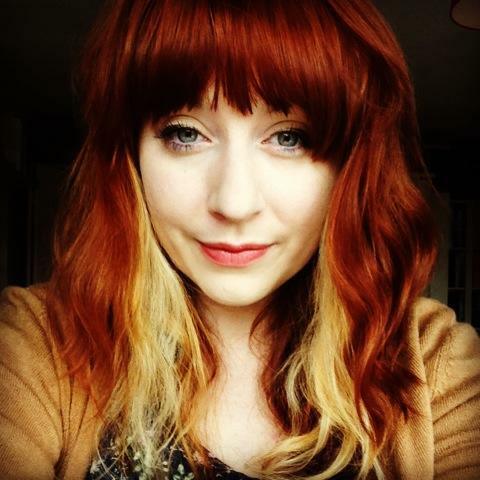 Check out Bryony’s #UKYAEXTRAVAGANZA post featured on theadarkdictator.blogspot.co.uk run by @thedarkdictator where we get to read a fab Q&A with Bryony – HERE! Check out the fab guest post from Bryony about favourite literary pirates here ! 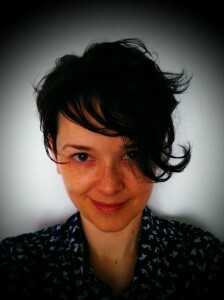 Sarah Sky is a freelance education journalist and lives in West London with her husband and two young children. She loves reading, martial arts, baking and table tennis and hates cows. Check out Sarah’s #UKYAEXTRAVAGANZA post featured on lauraslittlebookblog.blogspot.co.uk run by @midnightstar3 where we get to read about some super fab Jessica Cole gadgets – HERE! 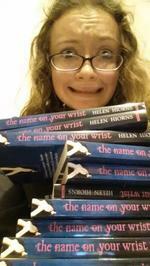 Helen Hiorns is twenty and is studying Philosophy at Sheffield University. She has been writing online for about six years, and was backpacking around Europe with friends when she found out her novel The Name on Your Wrist had been selected as the winner of the first Sony Young Movellist of the Year Award. 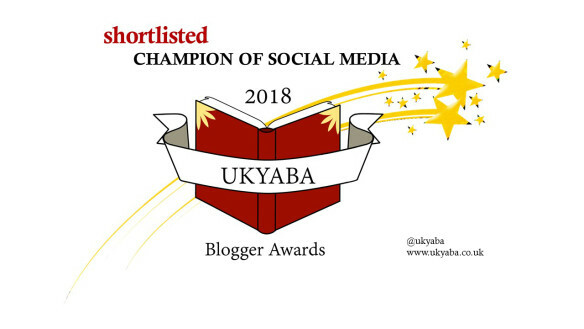 Check out Helen’s #UKYAEXTRAVAGANZA post featured on reviewedthebook.co.uk run by @sophieRTB where we get to read about how Helen’s life has changed since winning her award – HERE! Alexander Gordon Smith, 35, is best known as the author of the Escape From Furnace Series, made up of Lockdown, Solitary, Death Sentence, Fugitives and Execution. His is also the author of The Fury, and wrote The Inventors – which was runner-up in the national Wow Factor Award – and The Inventors and the City of Stolen Souls, both of which were co-authored by his eleven-year-old brother Jamie. He is the author of two creative writing handbooks, Inspired Creative Writing and Writing Bestselling Children’s Books, a number of screenplays that are currently in development, several non-fiction books and hundreds of short stories and articles. He is called Gordon, rather than Alexander, because his Mum and Dad liked the name Gordon but didn’t want his initials to spell GAS, so called him by his middle name. Check out Alexander Gordon Smith’s website here. Check out Alexander’s #UKYAEXTRAVAGANZA post featured on daydreamersthoughts.co.uk run by @daydreamin_star where we get to read all about writing stories – HERE! Question for Alexander Gordon Smith? I write YA thrillery stuff with a touch of fantasy and sci fi thrown into the mix. I’m represented by Molly Ker Hawn of The Bent Agency, and my debut novel, BLACKFIN SKY, is out now in the UK and USA. My next book, BREAKER, is a YA suspense novel, and will be out in Spring 2016 from Running Press Teen. When I’m not writing, I’m either tweeting, doing my amateur photographer thing (you can check out my pics on Tumblr if you like) or watching scary films with my husband and feral cat. My short story, GLIMMER, received a high commendation in the 2012 Bristol Short Story Prize – you can read it here. 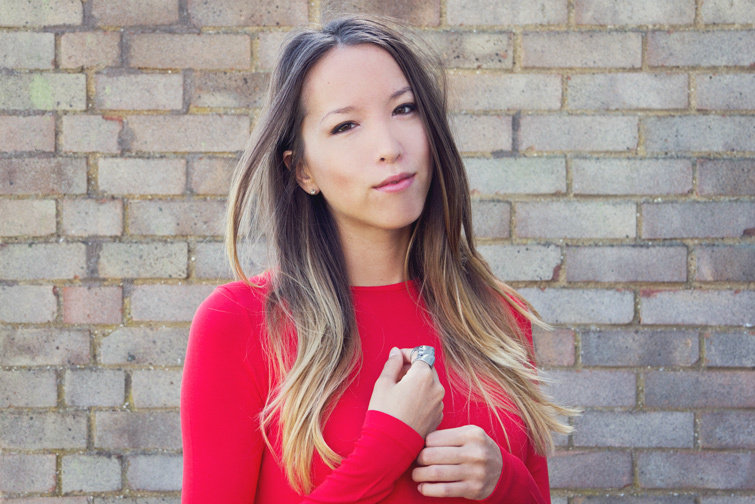 Check out Alexander’s #UKYAEXTRAVAGANZA post featured on eatreadglam.com run by @eatreadglam where we get to read all about how Kat recharges her inspiration batteries – HERE! 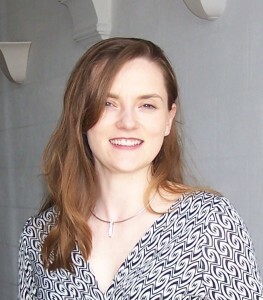 Clare grew up in London, and moved to the Birmingham suburbs in her teens. She always loved creative writing, and as a child wrote stories and poems in her spare time, but it never occurred to her that she could do it for a living. She worked as a waitress, a shop assistant, and a general dogsbody at the Shakespeare Centre Library in Stratford-upon-Avon (where the biggest perk of the job was lots of free theatre tickets) before studying at Cambridge University, later gaining an MLitt from Aberdeen University. Clare went on to work in media relations for the homelessness charity Shelter and spent several years as a press officer for then Mayor of London, Ken Livingstone. 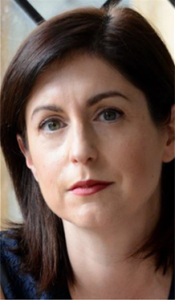 This entailed a lot of writing – press releases, articles, briefing papers – but it wasn’t until she took a career break to have her children that Clare at last plucked up the courage to do what she’d always really wanted to do, and write a book. She was awarded a place on the MA in Writing for Young People at Bath Spa University, and wrote The Year of The Rat as her MA manuscript. 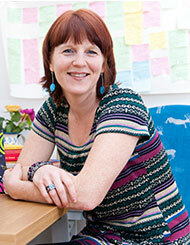 Clare now lives in a very untidy house in Bath with her husband and three children. 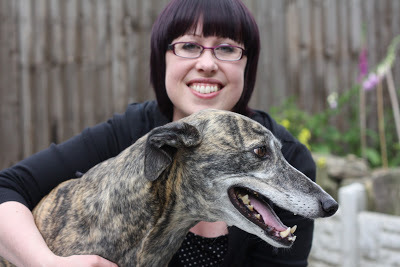 Check out Clare’s #UKYAEXTRAVAGANZA post featured on shinraalpha.com run by @shinraalpha where we get to read all about duck size horses and Ben Whishaw in a fab Q&A – HERE! Kendra Leighton is a YA author represented by Jane Finigan at Lutyens & Rubinstein Literary Agency. Glimpse, her debut novel, was inspired by Alfred Noyes’ poem ‘The Highwayman’. It was published in June 2014 by Much-in-Little, an imprint of Constable & Robinson. 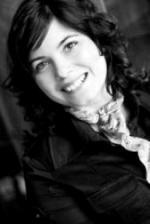 Kendra has a BA in English Literature from Durham University and a PGCE from Cambridge. She taught English in China and Spain, before returning to the UK to teach in middle schools. She discovered her love for YA fiction while browsing in school libraries. In 2008, Kendra left teaching to start a raw chocolate company in Cambridge. These days, when she’s not making chocolate, she can usually be found writing, reading, taste-testing chocolate (far more than necessary), or trying to steal other people’s cats. Find out more about Kendra at www.kendraleighton.com, or connect with her on Twitter (@KendraLeighton) or Facebook (www.facebook.com/KendraLeighton). 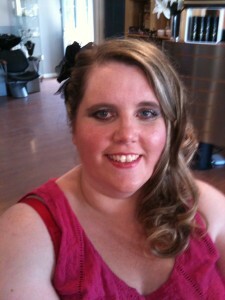 Check out Kendra’s #UKYAEXTRAVAGANZA video post featured on youtube.com/splustbookworms run by @splustbookworms ! My stories have always been a bit on the dark side. Although she doesn’t remember, I once told my sister such a sad tale (through the medium of song, no less) that she sobbed her little heart out. This was when we were pretty little and I got a jolly good telling off. Funnily enough, that story was about two girls, one of whom had died. I think the idea for Black Heart Blue must have been swimming around in my brain for decades. I don’t know if I wanted to be a writer in those days, but I definitely produced some little books and illustrated them myself (very poorly). I live near Cambridge with my husband and children. I write when I’m not teaching and doing all the other stuff that needs to be done. I’ve just finished the first draft of the second book I’m contracted to write for Penguin and am looking forward to doing some serious editing. I go to sleep thinking about books and wake up thinking about them. The whole process of book production is brilliant fun and I know how lucky am I to finally have the job of my dreams. Check out Louisa’s #UKYAEXTRAVAGANZA post featured on ladyjulianne.blogspot.com run by @ladjulianne where Louisa guest posts in the defence of female characters- HERE! Rhian has a BA in English Literature from Aberystwyth University and a PGCE in English and Drama Teaching from Cheltenham and Gloucester University. 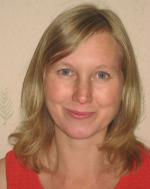 She works as an English and Drama teacher in Brackley. She has written stories since she was five years old. Rhian writes under the pen-name of Rhian Tracey, and has been writing stories since she was 5 years old. She teaches work-shops for students of all ages, and is especially passionate about school visits. Currently she is impersonating a workhouse guardian and dragging around a chest full of Victorian curiosities to inspire students’ creative writing! 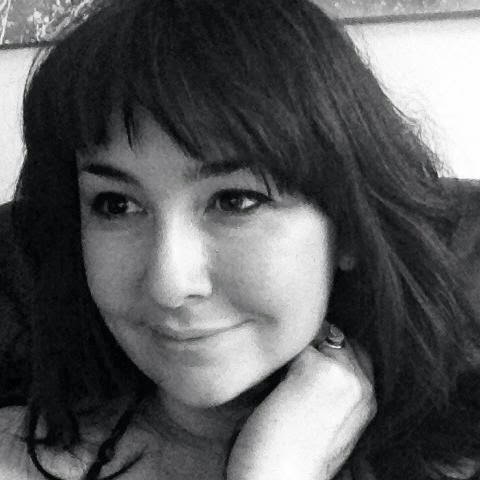 She has written a host of children’s books, both for teenage and the younger audience, and her latest book, The Boy Who Drew the Future, is about two boys trying to escape the past of their village, which was once renowned for witchcraft. Check out Rhian’s #UKYAEXTRAVAGANZA post featured on writeforrealw4r.blogspot.co.uk run by @livilev where we get to read a fab Q&A with Rhian – HERE! Rose/G. 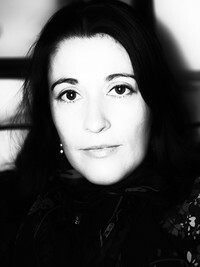 R. Mannering is an English writer and international author. 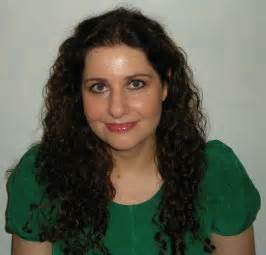 She signed up with literary agency Creative Authors when she was eighteen and secured her first UK publishing deal when she was nineteen. G. Rose Mannering has been writing ever since she can remember. 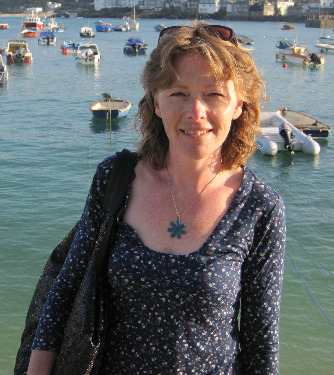 Diagnosed with dyslexia aged eight, she never let it stand in the way of her love for books. She signed her first publishing contract when she was nineteen and she writes under the names Rose Mannering and G. R. Manneirng. She became a Christian when she was twenty-one and attended university at Royal Holloway, University of London. She currently resides in the UK and her favourite things in life are books, dogs and tea. Her first fantasy novel Roses is out now under the name G. R. Mannering! Her first picture book The Spotty Dotty Daffodil has also just been released! Mannering writes a blog as well as maintaining a book youtube channel and contributes to the Author Allsorts website. Check out Rose’s #UKYAEXTRAVAGANZA post featured on mybookcorner.com.au run by @mybookcorner where we get to read a fab Q&A with Rose – HERE! 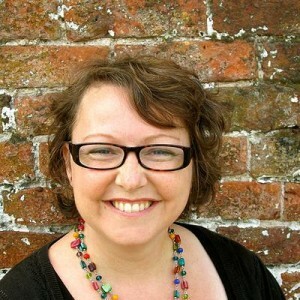 Check out Paula’s #UKYAEXTRAVAGANZA post featured on lunaslittlelibrary.wordpress.com run by @lunaslibrary where we get to read a fab Q&A with Paula – HERE! When she was sixteen, she thought she’d be an astronomer and writer at the same time, and did a month-long internship at Cambridge’s prestigious Cavendish Laboratories. 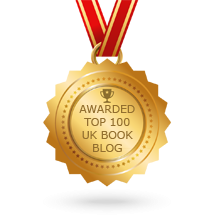 Check out Dawn’s #UKYAEXTRAVAGANZA post featured on wesatdown.blogspot.com run by @wesatdown where we get to read a fab Q&A with Dawn chatting about creepy books and romance – HERE! Check out Robins’s #UKYAEXTRAVAGANZA post featured on pentopaperblog.com run by @pentopaperblog where we get to read a fab Q&A with Robin talking about how baking is just like writing a mystery! – HERE! Hi! I’m Natasha, a 24 year old YA author from Hertfordshire, UK. I love books almost more than anything. I have always (only) wanted to be an author, and as cheesy as it sounds, I still can’t believe that my dream has come true. Follow this blog to hear about my publication journey, thoughts on writing, and news about my books. 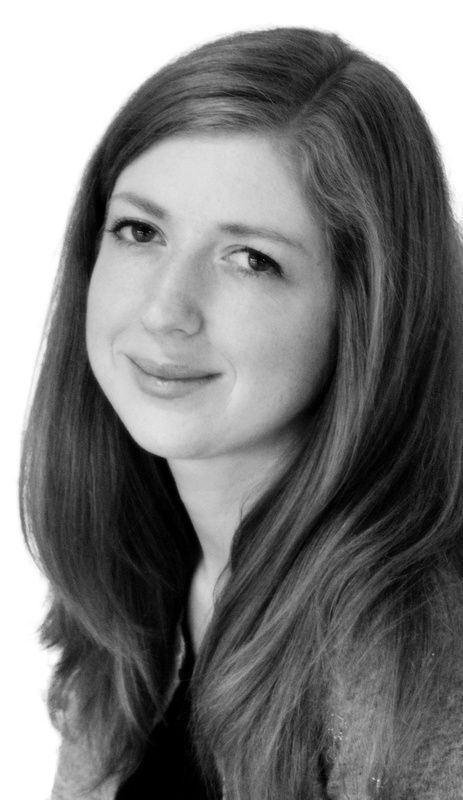 I am represented by Nicola Barr at Greene & Heaton. My debut novel The Elites is out now from Hot Key Books, and my second novel The Memory Keepers is out in September 2014. 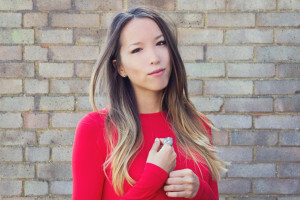 I’m also a social media freelancer and co-owner and editor of fashion blog Girl in the Lens. If you’re interested in fashion or photography (or just like looking at pretty pictures), why not check it out! This is just a little bit of me. A teen author and experienced school speaker. I’m represented by Stephanie Thwaites at Curtis Brown. I am teen Author with my debut YA novel – Seven Days having just been published by Scholastic in Feb 2015. One bully. One Target. Two Victims. My Adult comedy novel – The Blog of Maisy Malone – is available on Amazon in Kindle format for instant download, and also in paperback. Check out Eve’s #UKYAEXTRAVAGANZA post featured on thebeautyofliterature.com run by @emmaswriting where we get to read a fab interview with Eve ! – HERE! 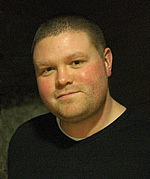 Gary Meehan is the author of the highly anticipated True Fire, the first book in a huge new YA series. 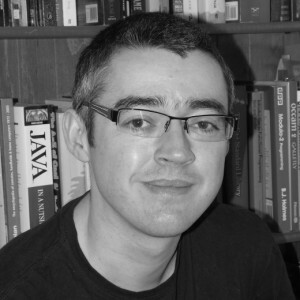 Gary was born in Bolton, Lancashire, and was educated at Lincoln College, Oxford, the University of Aberdeen and the University of Warwick. Check out Gary’s #UKYAEXTRAVAGANZA post featured on darkreaders.com run by @DarkRReviews where we get to read a fab interview with Gary – HERE! Janet Edwards grew up in prosaic England, but also shared the lives of amazing people in fantastic worlds. She explored the past, the future, the paranormal, the alternate Earths, and the worlds beyond the fields we know or hidden in the shadows of our own reality. Her guides were books, some written by authors still famous and others by authors already forgotten. Those authors have hundreds of individual names, but they have one title in common. They were all Expert Dreamers. After growing bored with work involving tedious technical facts, Janet made a break for freedom through a magical wardrobe and is now training as an Apprentice Dreamer. She has a husband, a son, a lot of books, and an aversion to housework. Check out Janet’s #UKYAEXTRAVAGANZA post featured on georgelesterwrites.com run by @thegeorgelester where we get to read a fab interview with Janet – HERE! My first book, The Hanged Man Rises, a Victorian supernatural thriller for teenagers, was published by Simon and Schuster in February 2013. My second, The Blood List, set in rural England during the 17th century witch-trials, which was out in February 2014. I live in London with my family, a stone’s throw away from the dreaded Devil’s Acre. 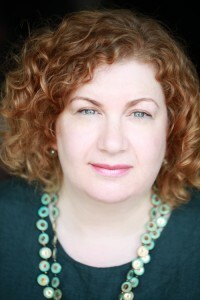 Check out Sarah’s #UKYAEXTRAVAGANZA post featured on flutteringbutterflies.com run by @cloverness where we get to read a fab interview with Sarah! Darkness, families, superstitions and more – HERE! My mum always claimed that when she lived in America for a year, my dad wrote to her every day and, in one of his letters, proposed. My dad denied this. But when she got home they got married anyway. In 1966 they emigrated to Canada. They’d wanted to go to New Zealand, but it was full. I was born in Winnipeg, Manitoba, which, by all accounts, is very cold. And also hot. But when I was four months old, my parents moved back to the UK. Don’t worry, they brought me too – this isn’t a misery memoir. And so I grew up on the Wirral. You probably haven’t heard of it. When I was 18 I moved to London and, a few years later, after meeting and falling in love with (I don’t mean “at first sight”. At first sight, I didn’t like him and he didn’t like me either. But that’s another story) a fellow northerner we moved back “up north”. Now we live in Lancashire (which is lovely, particularly when it’s not raining. Which is about two weeks a year) with our two ridiculously gorgeous sons and a pug. Okay, we haven’t got a pug, but maybe if I write it here it will come true. If you write it, pugs will come. I’ve been writing stories for as long as I can remember (I spent much of my teen years writing stories about George Michael falling in love with me so I’ve obviously always had a good imagination), but I didn’t write a novel until 2004 when I took part in National Novel Writing Month. I haven’t quite finished that one yet (! ), but I have finished a few others. I now write full time and I think it’s probably the best job in the world. Although if George Clooney is ever looking for an underpant-wrangler, I’ll probably apply. 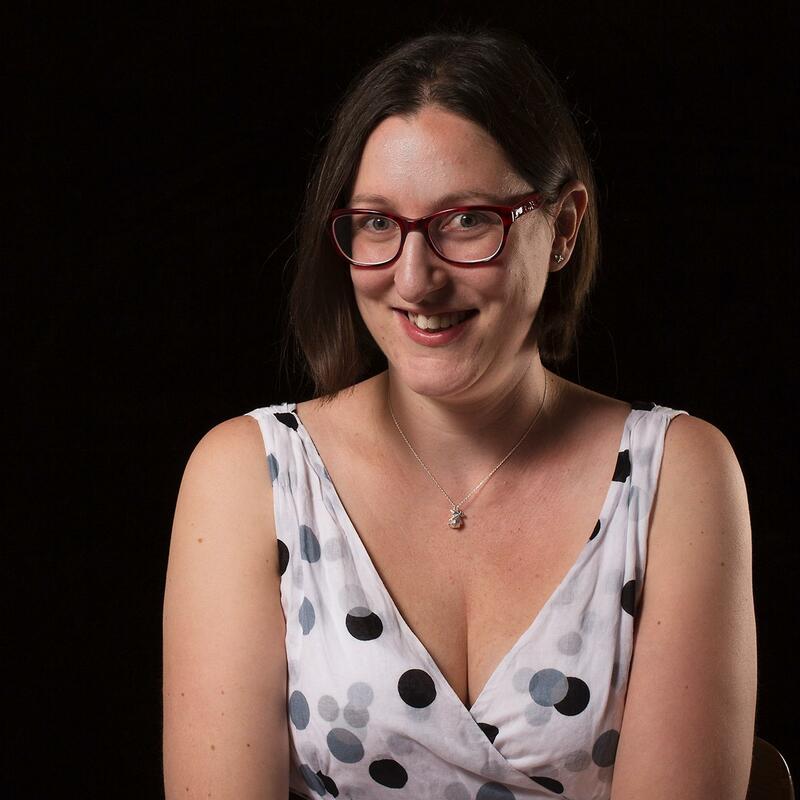 Check out Keris’s #UKYAEXTRAVAGANZA post featured on overflowinglibrary.com run by @overflowingklc where we get to read a fab interview with Keris! – HERE! Check out Bali’s #UKYAEXTRAVAGANZA post featured on books4teens.co.uk run by @thatjessiebloke where we get to read a fab Q&A with Bali! – HERE! 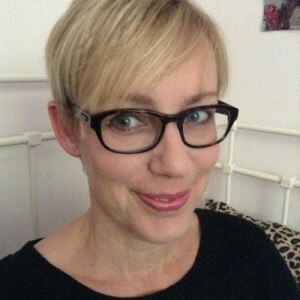 Check out Kate’s #UKYAEXTRAVAGANZA post featured on day-dreamers-world.blogspot.co.uk run by @daydreamsworld where we get to read a fab interview with Kate! – HERE! I’m a fortysomething author, currently writing novels for teenagers and young adults (some adults like them too). 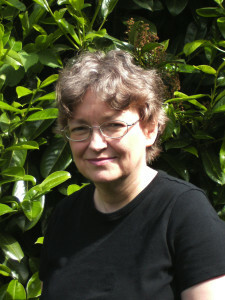 My first novel, Numbers, was published in January 2009, and was shortlisted for the Waterstones Children’s Book Prize, longlisted for the Carnegie Medal and won regional prizes in the UK and Germany including the Angus Book Award, the Oxfordshire Book Award and the Salisbury Schools Book Award. The Chaos, was published in 2010, and the final book in the trilogy, Infinity, in 2011. 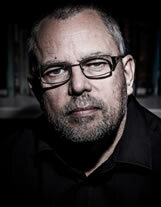 My fourth book, The Drowning, is published in the UK in May 2013 and in Germany in December 2013. 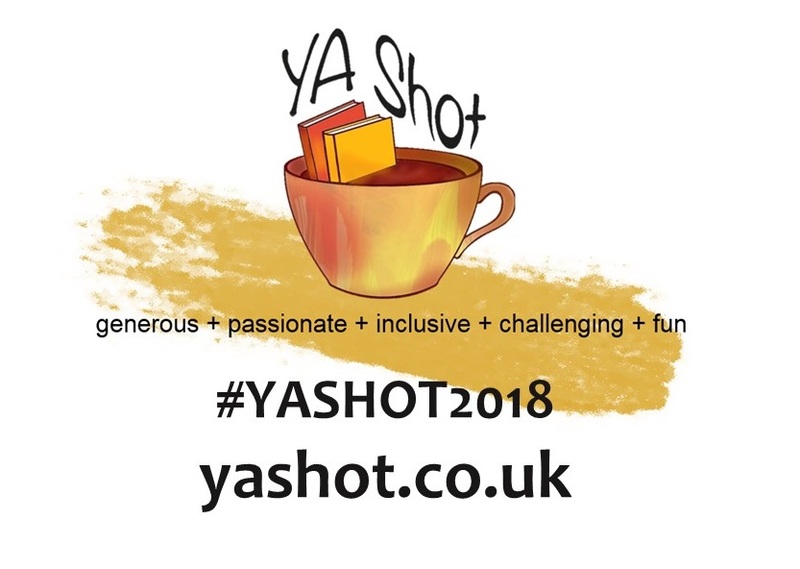 Check out Rachel’s #UKYAEXTRAVAGANZA post featured on maiamoorereads.blogspot.co.uk run by @maiamoorereads where we get to read a fab interview with Rachel! – HERE! 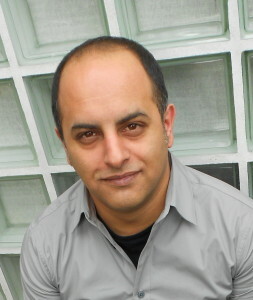 He has also been shortlisted for the Carnegie Medal in 2001 and 2003 and twice for the Booktrust Teenage Prize. He has won the Blue Peter Book Award ‘The Book I Couldn’t Put Down’, the Catalyst Award, the Leicester Book of the Year, the Leicester Short Novel of the year, the Angus Book of the Year, the RED Award (twice), the Stockport Book Award, the Birmingham Chills Award, the Salford KS4 Award, the Hackney Short Novel Award and the Salford Librarians’ Special Award. His books have been published in Japanese, German, Italian, French, Thai, Spanish, Danish, Dutch, Swedish and other languages. Check out Alan’s #UKYAEXTRAVAGANZA post featured on bethkemp.co.uk run by @bethkemp where we get to read a fab interview with Alan! – HERE! While I was at university I had some weird and not-so-wonderful holiday jobs: packing eggs into boxes, sexing day-old chickens (don’t ask! ), cleaning breathing apparatus in a steel foundry (boring but there were lots of cute boys working there), admin in the local motor tax office (you wouldn’t believe what went on in that place), and serving in a baker’s shop (now that was fun work: all that cake. Yum!). In those days, I could eat my bodyweight in cake. Shh! Don’t tell anyone, but I still can. But it wasn’t all hard graft during the holidays. I also managed to squeeze in time, near the end of the summer, to go backpacking around Europe with a friend. I was always a bit skint though – those temporary jobs didn’t pay much – but it was fun: eating street food, staying in youth hostels and cheap b&bs, sleeping on the pavement outside a railway station (NOT to be recommended so don’t even think about it!) and even kipping overnight on the train. Can you imagine spending thirty-six hours on a wooden bench? I did that once. My bum aches just thinking about it! 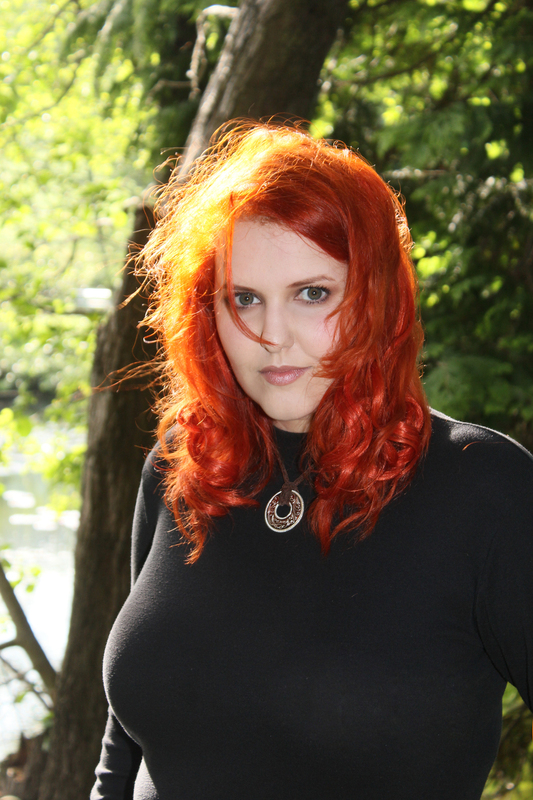 Check out Christina’s #UKYAEXTRAVAGANZA post featured on sisterspooky.co.uk run by @sisterspooky where we get to read a fab interview with Christina! – HERE! 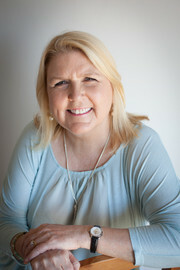 I’m an experienced freelance journalist, novelist and agony aunt, as well as a frequent contributor to radio and TV programmes, especially on health and relationship issues. I write regular features for national newspapers and magazines and I am currently a relationship adviser for askthesite. I’ve also been the agony aunt for Sky.com and for CosmoGirl! magazine. I live in Camden Town, North London. 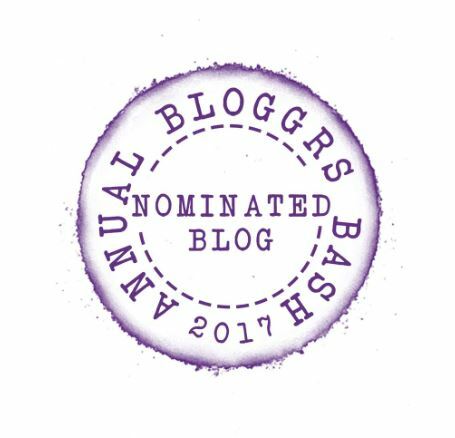 Check out Hilary’s #UKYAEXTRAVAGANZA post featured on bookpassionforlife.blogspot.com run by @bookpforlife where we get to read a fab interview with Hilary! – HERE! A former crime reporter, political writer and investigative journalist, I’m now a full-time novelist. I’ve never done anything much for a living except write. In my deep and distant past, I worked for several US newspapers, including the Savannah Morning News and the Dallas Morning News. For a few years I was a stringer for Reuters in New Orleans. I’ve written books about travel in Paris and Ireland for Time Out and Frommers. There was also a time when I worked for the British government. Night School was my first novel. The Night School series has been translated into twenty-two languages so far. 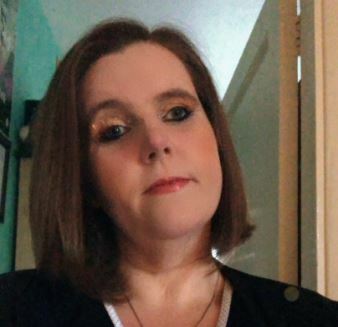 Check out C J’s #UKYAEXTRAVAGANZA post featured on misschaptersreviews.blogspot.com run by @georginatranter where we get to read a fab interview with CJ! – HERE! 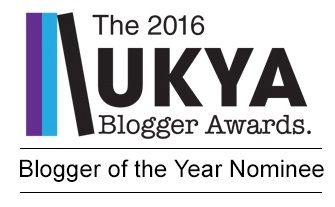 Check out Lou’s #UKYAEXTRAVAGANZA post featured on bookishtreasures.blogspot.co.uk run by @loopy_lu_ where we get to read a fab interview with …..super blogger Laura and Lou asking the questions! – HERE! I grew up in Haywards Heath, West Sussex, which I always thought was the most boring place in the world, but now can see wasn’t such a bad place to grow up at all. After a stint au pairing in Paris – I got terribly homesick and a bit plump on patisserie – and some half-hearted attempts to backpack across Europe, I did a degree in English and got a job as a journalist on a trade paper. When I got bored of writing about computers, I swapped to articles for national newspapers on everything from making compost to family holidays in Sweden. My first attempt at fiction was a picture book called Rainy Day, published by Transworld. I also wrote a number of books for schools about things like death and stress and drug abuse. Cheerful stuff! Now I write thrillers for teenagers and young adults – the first, Now You See Me, is coming out with Usborne on 1st May 2014. I’m addicted to intriguing stories – whether in books or on TV or the big screen – and that feeling of desperately needing to know what’s going on and what happens next. That’s what I aim for in my own novels, and what I hope you’ll enjoy when you read them. 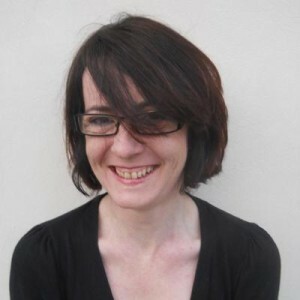 Check out Emma’s #UKYAEXTRAVAGANZA post featured on yayeahyeah.com run by @yayeahyeah where we get to read about Emma’s favourite childhood reads! – HERE! I also lead creative writing workshops, critique manuscripts (only fiction for children and teenagers) and mentor people who are writing for children or teenagers. Check out Leila’s #UKYAEXTRAVAGANZA post featured on charliotherworld.blogspot.com run by @charli_TAW where we get to read a fab interview with Leila! – HERE! So that’s it! All 35 wonderful authors that are appearing at #ukyaextravaganza on Saturday 28/02/2015 and all 35 super awesome bloggers who have been part of the tour. What a fab blog tour and I cannot wait for the event! 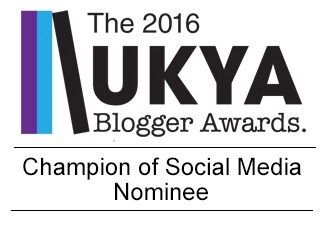 This entry was posted in Tales Post, UKYA, YA and tagged Blog Tour, Tales Post, UKYA, UKYA EXTR, YA on February 2, 2015 by Chelley Toy. I’m really looking forward to this event! So nice that the YA genre is getting an event and that it’s in the Midlands, rather than London.